Vodafone India has been leading the tariff war amongst the incumbent telcos for quite some time now. The telco has been on a launch spree lately catering to every prepaid customer’s requirement. Vodafone launched a couple of prepaid plans priced at Rs 511 and Rs 569 taking on Airtel and Reliance Jio’s offerings. With the Rs 511 prepaid plan, Vodafone is offering a whopping 168GB of 4G data and this plan takes on Airtel’s Rs 499 prepaid plan which also provides similar data benefit. The Rs 569 prepaid plan, on the other hand, takes on Airtel’s Rs 558 prepaid plan as both of them provides 3GB daily data for 84 days. Notably, both the Rs 511 and Rs 569 prepaid plans from Vodafone are valid across the country. Getting into the specifics, the all-new Rs 569 plan by Vodafone ships 3GB of 4G/3G data per day along with unlimited voice calls capped daily and weekly according to the FUP limit. There are also 100 SMS per day bundled in the pack. On the other hand, the Rs 511 plan gives 2GB of 4G/3G data per day combined with the usual unlimited voice calls and 100 SMS per day. The validity of both the plans is 84 days. The cap for voice calling has been set at 250 minutes per day and 1000 minutes per week for these plans. On the whole, Vodafone India is offering 252GB of 4G/3G data at just Rs 569 for 84 days, and the Rs 511 plan gives 168GB data for 84 days. Clearly, the Rs 569 plan is a better one even as it’s priced slightly higher. Besides these new plans, Vodafone continues to sell its other prepaid plans of Rs 549 and Rs 509, offering 3.5GB data and 1.4GB data per day for 28 days and 90 days respectively. Like other Vodafone plans, these prepaid packs also come with 100 SMS per day along with unlimited calling benefits. On the other hand, Airtel is also offering a prepaid plan of Rs 558 which gives a user 3GB data per day, unlimited voice calls and 100 SMS per day for a period of 82 days. While Vodafone is restricting the voice calls to 250 minutes per day, Airtel doesn’t have any such FUP limit on its voice calls. In contrast, Reliance Jio has a Rs 448 prepaid plan that offers 2GB of 4G data per day benefit for 84 days, while the Rs 498 plan gives 2GB data per day benefit for 91 days. 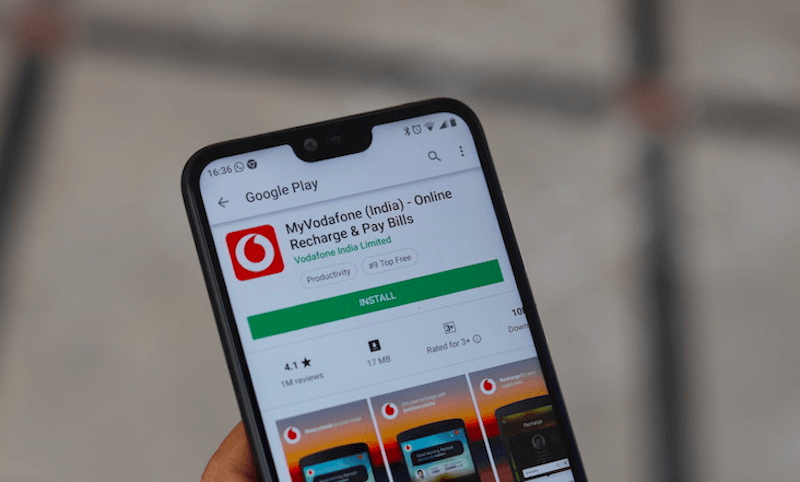 Aforesaid, Vodafone India is still offering the Rs 549 and Rs 509 prepaid plans, which takes on Jio’s prepaid offerings. The Rs 549 prepaid plan is currently offering 3.5GB data per day benefit while the Rs 509 plan is providing users with 1.4GB data benefit per day. The Rs 549 plan is valid for 28 days whereas the Rs 509 plan is valid for 90 days. With the Rs 569 plan, Vodafone India has managed to beat Reliance Jio in the data war. With this plan, Vodafone has brought down the value of per GB to just Rs 2.25 and that’s a masterstroke from the country’ second largest telecom service provider. Vodafone might remove the Rs 549 prepaid plan anytime as the Rs 569 plan has been introduced as a pan-India plan. This is just because of Jio. So greedy people wanted an extra 13th recharge and so introduced this stupid people. Airtel of the biggest of all go an extra mile to make it 82 days. 30, 60 or 90 days validity like BSNL provides is best. Private Telcos still want to leech out of Subscribers but still some people think Jio as of Saint. Tons of 28 day plans were there even before Jio on AVOID cartel.